An organization’s candidate experience is directly associated with their employer brand. Failing to attend to your employer brand can be detrimental to your organization. Nearly 60% of candidates have had a poor candidate experience, and 72% of those candidates shared that experience online or with someone directly. What is the ATS black hole? This is the phenomenon many candidates experience when they submit an application or resume online and have no way of knowing if it was received. It leaves potential candidates in the dark because they don’t know whether to expect a call or forget about the opportunity altogether. How can you avoid the ATS black hole for your candidates? Many corporate recruiters already have more to do than they can handle, and responding to all applications can seem next to impossible. This is where artificial intelligence comes in. AI can be used in the recruitment process by integrating with an ATS and notifying candidates when their application has been received. It can help set guidelines of when, or if, they’ll receive a response. No one will slip through the cracks (even those not qualified for the position). The communication shouldn’t stop there. 65% of candidates say they either never or rarely receive employer notice of the decision made on their application. With the use of AI, once a job posting has been filled and closed, candidates who were not offered the position will be automatically notified and given other open positions within the organization for which they may be better suited. This improves their experience (and job search) and reduces your recruitment team’s workload by moving applicants into a more appropriate funnel. Using AI in your talent acquisition process broadens your talent funnel without burning out your recruiters. 93% of job seekers cited unclear application instructions as the primary cause of a bad candidate experience. Unclear application instructions can result in candidate delays submitting resumes or no submission at all. A CareerBuilder survey found that 40% of candidates feel the application process has become increasingly difficult. With the guide of a chatbot, applicants will sail through the process. They receive direction and clarification in an instant rather than waiting for a recruiter to respond back to them when, or if, they have time. Using a chatbot also provides advantages to the recruitment team as the chatbot can use the feedback from the candidate and apply it to the selection process. The recruitment team can then easily see how each candidate ranks from the applicants selected by the platform. Time and time again, we’ve heard that communication is a two-way street. Yet many candidates feel the application process is strictly one-way and they’re the ones doing all the talking. 60% of applicants say “better communication throughout and after the application process,” would have the most positive impact. Using AI, recruiters would be able to provide the communication so many candidates are looking for. Having a chatbot integrated into the recruiting process would allow candidates to ask relevant questions throughout the application process. A chatbot will also provide a faster and more efficient way to respond with meaningful answers from the recruitment team. Creating a positive candidate experience is no doubt a crucial part of investing in your employer brand. Implementing artificial intelligence will give you the edge you need within your hiring process and have candidates lining up to apply for the positions at your company without fear they’ll be disappointed, overlooked or simply forgotten. Noel Webb is co-founder and CEO of Karen.ai (Your Cognitive Recruiting Assistant), the latest project from his role as Director of Product Innovation at Innosphere. A veteran of business development and out-of-the-box thinking, Noel has been a leader in his roles over the years for several companies, including Bam Digital, SpeakFeel and Agnition. 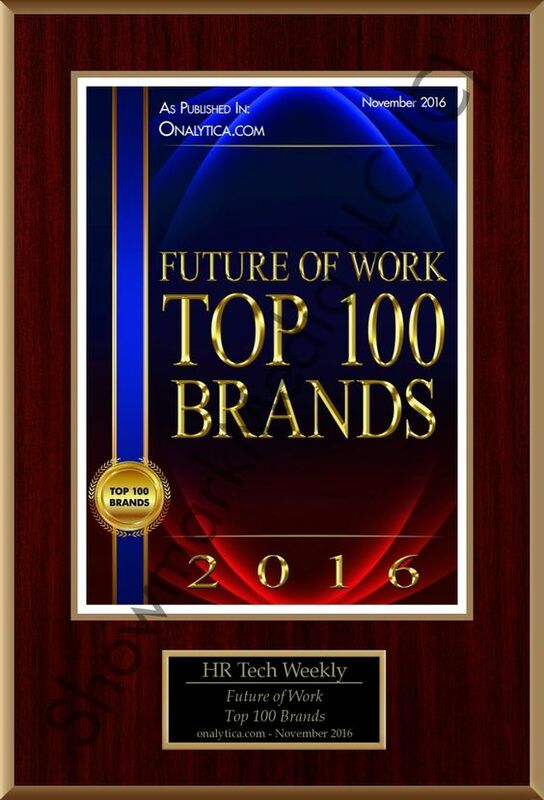 If you want to share this article the reference to Noel Webb and The HR Tech Weekly® is obligatory. Talent acquisition can be one of the most time consuming and frustrating aspects of business. Harsh deadlines and specific requirements, not to mention the piles of applications and resumes, is tough for any recruiter. Tack on retention accountability, candidate experience and employer branding and the job becomes even harder. 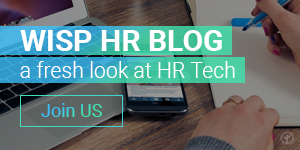 The emerging HR technology throughout the last decade has strived to take away these many frustrations while improving candidate experience and quality of hire. The buzz around artificial intelligence this year is being shrugged off by many as just a new word HR got ahold of, but what would happen if AI was actually embraced by the recruiting and hiring world? What could it do to further practices and solve problems? This is exactly what Karen.ai are trying to do. How is AI enabled software aiming to better recruitment and the candidate experience? Matching the right candidates to the right positions, that’s the name of the game, but it’s not as easy as it may sound. 52% of recruiters say the hardest part of their job is identifying the right candidates from a large applicant pool. Resume parsing and keyword search advances within an ATS has made the sifting and shifting of this task a bit easier as it picks up on keywords in resumes and cover letters to pull ones that match the most. But as we’ve traversed from keyword matching, to semantic search and contextual search, it’s clear we have not perfected Artificial Intelligence in candidate matching just yet. Today’s products are using Natural Language Processing for even more efficient and learning tools. 75% of job seekers’ chances of landing an interview are killed by errors in the ATS or by restrictive keyword search parameters. Limiting the search to a set amount of keywords does not always guarantee the most qualified candidate or best fit for the job requirements. However, Karen, an Artificial Intelligence software we built specifically for recruiting and hiring, builds off the basic keyword search, broadening the results with a more advanced version that includes semantic search, contextual search and integrates candidate chat conversations, eliminating fuzzy matches. The ability to find concepts hidden in text, in addition to traditional keyword search will give recruiters a more complete look at the candidate’s qualifications and help improve the candidate matching process. In addition, this new software will take the information learned from the resume and cover letters to potentially help match candidates to jobs they may be better fit for within the company during and after the application process. In addition to pulling out the most qualified candidates for the position based on keywords and concepts, recruiters and hiring managers are expected to then select the best ones to move on in the process. Many use the rank and score method based on what was found within the resume and cover letter. Artificial intelligence is now helping recruiters do this faster by leveraging big data and predictive analytics. Some companies that already do this include Hiredscore and Ideal.com. While this helps professionals get to the next step in the hiring process quicker, what seems to be missing is the interaction with the candidates and those who did not make it to the next step in the process. A study conducted by CareerBuilder found an astonishing 75% of people said they didn’t hear back from the company to which they applied. This is where the ATS black hole comes into play and how Artificial Intelligence can help fight it. Karen steps into the process from the beginning, conversing with candidates, learning from their interactions and assimilating the data into a decision: continue down the pipeline or exit in a brand-minded way. In either scenario, Karen ensures the candidate knows where they stand. The ATS black hole is something of which many recruiters and candidates are all too familiar. 74% of job seekers say a clear timeline of the hiring process is what could improve their candidate experience the most, according to a report by applicant tracking systems consulting website Software Advice. Candidates want to be kept in the loop but for many recruiters, staying in contact with all of the applicants and notifying them of each step in the hiring process is next to impossible. Automated emails have helped this frustration as it’s easy to send an email to a couple dozen candidates letting them know they weren’t the right fit for the position or they are moving on in the process. The problem with this automation, though, is a lack of brand experience and personality. Automated emails are also not as good keeping the candidates fully engaged in the process. Enter Karen. Chatbots have been affecting our world by advancing customer support to helping users book a flight and now they’re here to advance the world of recruiting. By using an active chatbot to communicate and engage with candidates, AI could solve the problems of the ATS black hole. A chatbot guides candidates through the application process, take insights learned from resumes and ask candidates questions to assess their level of engagement and keep them informed about where they are in the process. Although platforms like Wade & Wendy and Mya have these abilities as well, Karen is the first to take the information learned from the chat and combine it with the scoring and ranking capabilities to present the recruiter with the best possible candidate for the position. This chat capability will also increase the brand experience for the candidate as 78% of candidates will tell their friends and family about their bad experience and 34% will post about it on social media. Tie all these functions together and you have a winning combination of matching, scoring and ranking, and chat capabilities that will help ease the recruiter frustrations and build a bridge between the disconnect of employers and job seekers. Prior to the cognitive computing era, enterprise companies would manually review resumes or at best use keyword matching to prioritize internal and external candidate submissions. Using AI, like Karen, to improve these tactics can lower time-to-hire for recruiters and engage candidates. Want to learn more about Karen? Visit karen.ai or read more about the creation in this press release.